Confederation Freezers offers a variety of on-premise Pick & Pack and Co-packing services across Canada. We can repackage products to create either larger or smaller pack formats. Our co-packing services can be customized to meet your needs. 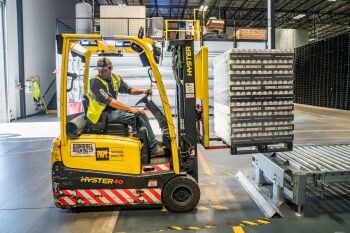 Confederation Freezers can also reconfigure pallet loads. Most products arrive to us in full pallet quantities. Confederation Freezers can reconfigure these pallets to you, or your customers, with specifications such as partial pallets or case quantities.